The lodge is set in a peaceful residential area just west of Sheffield city centre, where there are great things to see, places to eat, drink and shop. It is ideally located for visitors looking for walking or cycling holidays in and around Sheffield; the Peak District National Park, which offers breath-taking views and fantastic opportunities for cycling, walking, climbing and wildlife watching, is just a short drive or cycle away. It is also perfect for families, parents or groups who are looking to visit students. Small groups of 2- 4 people and families are very welcome as well. 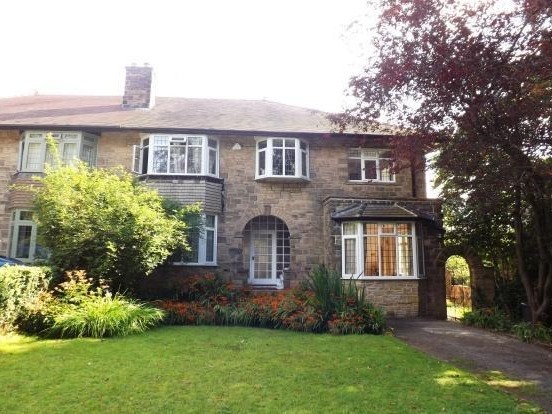 Sheffield Botanical Gardens, Endcliffe Park, Bingham Park, Whiteley Woods, the Shepherds Wheel in Porter Brook Valley Park - a famous heritage site - are all within walking distance.Beautiful woodland, streams and ,duckponds will feast your eyes. The city centre is five to ten minutes drive away with a bus stop just outside and more connections available on Fullwood road a short walk away with regular connections to the historic and vibrant centre of the Steel City. Broomhill, the very popular local shopping centre is a fifteen minute walk away. It bustles with cafes, restaurants, supermarkets, a library, hairdressers, antique shops. along with a vibrant year-round events programme including festivals and garden shows . The property has all the necessary amenities including kitchen, dining, sleeping and lounging facilities and WiFi. A smart TV is available, Bed linen is provided and the kitchen is fully equipped , however bath towels are not provided.